I am one of ten artists to be selected for the 2013 Broomhill National Sculpture Prize. I will be given £1000 to make a new sculpture and show it at the Broomhill Art and Sculpture Foundation in Devon. The exhibition will run from the 1st of June 2013 until Spring 2014. I plan to make a large outdoor pavilion based on a geometric shape called a Polar Zonohedron. When it’s finished, it will be placed in a clearing in a forest and you’ll be able to walk inside it. 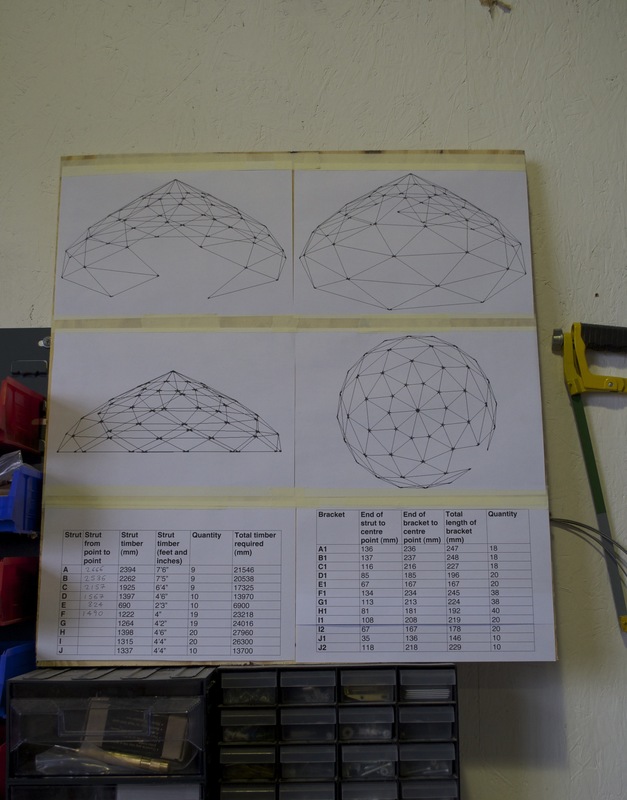 It will be constructed out of timber struts and metal connectors in a similar way to a geodesic dome I made for my Sondryfolk Residency in December 2012. Broomhill have asked all of the finalists to keep a blog so people can see our progress, I will try to post photos once or twice a week.